The emerging era of the web is bringing about a number of changes to website design and development. Along with this emergence of the web, Bootstrap has evolved as one of the most preferred front-end frameworks for building responsive and mobile-ready websites. Additionally, this responsive grid-based framework also serves the purpose of creating portfolios, blogs, e-commerce, and personal websites, and more. 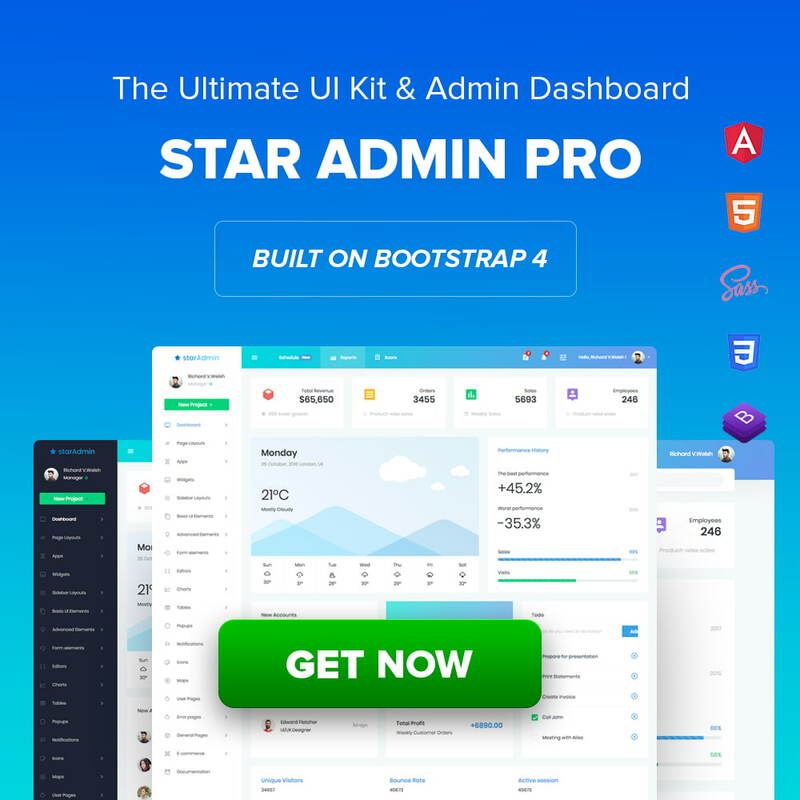 Bootstrap is available for free and blesses both professional and amateur developers with numerous options and tools for creating websites and web apps. Bootstrap was developed by Mark Otto and Jacob Thornton of Twitter, with an aim to bring about consistency among the internal tools. However, currently, it is an open-source framework and Bootstrap does no longer work in collaboration with Twitter after its version 2.0 received an update. With the release of its version 3, it got simplified and is now capable of supporting flat design creation. This update eliminated the over-styling applied to the elements, such as buttons, navigation, and tabs, making the framework simple and developer-friendly. Apart from these simple enhancements, a new addition to this framework is the mobile-first approach. This improvement can be found in Bootstrap 3 and 4. The grid-based layout of 12 columns that Bootstrap uses, there are grid classes, which implement elements in your template files to fit your content into the grid. Since the grid-based system makes use of object-oriented CSS, it gives you a lot of flexibility for organizing the elements neatly within your theme and also on your pages. Also, it uses the mobile-first approach, which means your CSS is clean and efficient than a stylesheet that has been developed with desktops in mind. All these advantages of Bootstrap are a part of the WordPress themes that are built on it. This means by implementing these WordPress themes, developers can speed up the development of their website or app. Also, the efficiency that Bootstrap provides making front-end development easier and hassle-free is one of the reasons why it is used to build several of the WordPress themes to develop apps and websites with ease. Here we are sharing some of the best WordPress themes built using Bootstrap framework for the year 2019. You can think of implementing one of these themes to build professional websites based on the features and functionalities that these offer as discussed below. Over time, people’s expectations of the web have been changing. The internet has been evolving to embrace and fulfill people’s desires of the much-awaited change. This change has affected the way people access the web, making it important that your website looks good across all devices, including smartphones, tablets or desktops. The responsiveness aspect of Antreas ensures that your website looks great, regardless of the device on which it is being viewed. With the help of a visual page editor, WordPress customizer, provided by Antreas, you can customize, edit, filter and update sections and pages in real time, and dragging and dropping widgets is easier and simpler. And you can easily fine-tune the layouts, colors, and animations, without worrying about the coding part. All the third-party plugins can be easily integrated with Antreas. The in-built social share buttons, author boxes and related posts lists will right away engage your users from day one. This is best suited for building one-page websites. It offers handy shortcodes that make it easier to create custom pricing tables to fit into your business-specific needs. Go ahead and download Antreas for free today! One of the most powerful, multipurpose and adaptable WordPress themes, Shapely, is again an excellent choice for building one-page websites. It offers pixel-perfect designs and exceptional functionalities. The number of customization options that it provides is unrivaled when compared with most of the WordPress themes available today. This one-page WordPress theme is available for free download. Shapely offers a wide range of homepage widgets, which can be used for adding parallax sections, portfolios, products and/or services information, testimonials, call to actions and others. Most of the free and premium WordPress plugins, including Contact Form 7, Google Analytics by Yoast, Jetpack, WooCommerce, and Yoast SEO are compatible with Shapely. Additionally, Shapely is responsive and mobile-friendly, which makes your websites look great on any device. Websites developed using the Shapely theme have been found to render the best SEO results. It is well-suited for e-commerce stores, personal websites, blogs, landing pages, apart from business websites. This theme was developed using the innovative Bootstrap 3 front-end framework, which makes it further easier for the site owners to enjoy a variety of customized settings to introduce footer info, change text palettes and modify sections. If you wish to find out more about Shapely’s core functionalities and features, check its extensive theme documentation file and also try out the free theme demo to find out more on how comfortable it is to work with this theme. Click here to download Shapely. Activello is an intuitive, user-and-developer friendly, tech-savvy, versatile, clean and minimal WordPress theme developed using Bootstrap 3 front-end framework. Since it is responsive and mobile-friendly, it ensures that your site is beautifully rendered across any device on which it is being accessed. The wide range of custom widgets and the full-screen slider that Activello offers ensures that your content is beautifully showcased. The Activello theme is available for free download and it is well-suited for creating website designs for a wide range of industry domains, including food, photography, fitness, corporate, personal, travel, adventure, and other blogs. It can be used in collaboration with a wide range of freemium WordPress plugins, such as W3 Total Cache, Gravity Forms, Yoast SEO, WooCommerce, Jetpack, and several others. Its SEO-friendly structure, which is schema-compatible, makes websites developed using this theme a favorite of search engines, and Google loves to boost the ranking of such websites. On HiDPI (retina) displays, you can enjoy the razor-sharp text, sharp images, premium feel, stunning graphics, vibrant colors, and beautifully vectorized icons. It offers personalization settings through WordPress theme customizer, which can help set up sliders, update copyright information and others. This theme is translation and multilingual-ready, which gives more power to your website to reach out to a wider range of audiences across the globe. The support forum is available 24/7 to offer you with exceptional services for free. You can download Activello here. This WordPress magazine theme is available for free and one of the best choices for creating a wide range of websites, such as news portals, online magazines, personal blogs, and sports hubs. It offers a clean and sophisticated design pattern, which ensures that your content is showcased with style. It comes with a series of advanced features, and this theme is loved for its versatile and customizable nature. It can also be used for creating customized layouts. The in-built banner system that comes with it is one of the highlights of NewsMag Lite. The full-page slider from NewsMag will attract visitor attention in a jiffy. Plus, the in-built social media integrations that NewsMag offers easy sharing across various social media platforms. Built on the HTML5 technology and styled by CSS3, along with beautiful parallax backgrounds and non-resistible scrolling effects, which are all features of the modular Bootstrap design ensure that the websites designed using NewsMag Lite are responsive and mobile-friendly. These websites built using NewsMag Lite are compatible with most of the browsers and devices. Since the theme receives regular updates, there is no need to worry about code vulnerabilities impacting your website. The HTML5 rich snippets and title tags ensure indexing and maximum search engine compatibility, which is excellent from an SEO perspective. The NewsMag Lite theme integrates well with the WPML plugin, which will help you to offer multi-lingual support for your website. Extensive documentation is available for your reference, in any case, if you would like to start learning about the features and functionalities of the NewsMag theme. You can download the NewsMag Lite theme here. One of the most versatile WordPress medical themes, MedZone, is best suited to create websites for mostly medical institutions, though it can be used for creating websites for other businesses as well. This theme is available for free but offers premium-level quality for your websites. Since it follows code standards, your websites will load quickly. Also, it is SEO-optimized, which will take your website to the top of the search engine results when a potential patient is looking for your services. Apart from enriching the appearance of the website and SEO-compliance, with the MedZone theme, you can take advantage of the in-built support to accept bookings within the category “appointment/bookings.” The other options that it offers include testimonials, medical icons, sections for image sliders, team member listings and so on. MedZone, when collaborated with WordPress widgets, ensures that the site’s content is displayed in style. It is intuitive and simple, and comes with a highly adaptable layout, offering customizations at various stages of the website design process. Also, you can enjoy a wide variety of features such as unlimited colors, a footer, and a recent posts section, to add cream to the cake. With just a one-click install demo, you can have your site up. This free theme has a dedicated support team. You can download the free template MedZone Lite here. With Buildo, you can design your dream websites in a short span of time. This free Bootstrap-driven WordPress theme can be used for creating websites from a variety of domains. But it is best suited for real estate businesses. However, you can alter the web design to incorporate any kind of customization you wish. With Buildo, you can create interesting and appealing blogs which will attract user attention. It comes with a wide range of features, including sidebar widgets, search engine optimization, mobile-device compatibility, and even sliders. It follows all the latest web trends and ensures that free updates are released on a regular basis as and when a new trend hits the industry. The websites built with Buildo are cross-compatible with all kinds of browsers and would provide a stunning appearance across any device, regardless of the screen size. You can download Buildo here and start building awesome websites. Dazzling, a free and sophisticated responsive flat design WordPress theme, offers pixel-perfect design and comes with exceptional functionalities that are at par with the quality offered by premium themes. This customizable theme offers a wide range of color palettes, versatile-featured slider, numerous widget areas and so on. This theme developed using Bootstrap 3 front-end framework ensures that your website is responsive and well-optimized for all devices, especially mobile devices. This theme is well-suited for business, personal, showcasing apps, sales pages, corporate, portfolios, etc. It comes with an optional full-screen slider, which plays an important role in designing creative websites. The design offered by this theme is extremely appealing as it comprises a flat design with mint green accent colors. Some of the other features include several font awesome icons, color customization that is available for each aspect of the theme, infinite scrolling, retina-ready, logo upload support, and it is also translation-ready. Also, Dazzling can be integrated with some of the highly popular plugins, such as Jetpack, WordPress SEO, Contact Form 7 and others. For more information on hosting and download of Dazzling theme, click here. As the name suggests, this free theme, Adventure Travelling, is one of the best choices for designing websites across the following niches: tour and tourist guides, travel magazines, tourist hotels, travel, and adventure blogs, travel agencies, and tourist destinations. In fact, it would make a bold and powerful choice for people related to the tourism industry who intend to build appealing websites that attract visitor attention in no time. This multipurpose travel theme from WordPress offers an attractive design, which comes with banners and sliders for enhancing the beauty of your site. Blessed with a user-friendly interface and well-organized layout, it ensures smooth navigation. It is translation-ready, which makes your site accessible to people across the globe. It is SEO-friendly, which means that the chances of your site ranking among the first few results on the search engine results page are higher. Also, it is cross-browser compatible and lightweight, which helps in increasing the loading speed of your website. The customization settings that come with this theme gives you more power over your website’s appearance and functionalities. Create beautiful and unique travel websites with Adventure Travelling theme. Download it here. One of the fully responsive, sophisticated and clean, WordPress wedding themes, Unite offers flat design. This theme has been developed using Bootstrap 3 front-end framework, which makes it simple to understand and easy to use. This free theme well-suited for designing wedding websites or blogs is fully customizable and offers a variety of color palettes, which can be altered for different elements, including navigation menu, footer, and fonts. Though this theme is best suited for wedding websites and/or blogs, it can also be used for other kinds of websites where you want to flaunt a little bit of creativity specifically for image-centric designs. For more details about the theme, you can find the documentation here. Sparkling is free, clean, sophisticated and flat design theme. It has been developed using Bootstrap 3 front-end framework. Bootstrap’s front-end framework ensures that the websites developed using this theme offers cross-device compatibility, and the users can access the site over any device, regardless of the screen size. It is one of the most unique WordPress themes as it comes with a pixel-perfect design, full-screen slider, and awesome widgets. Though it is available for free, the quality of the websites designed using Sparkling is expected to surpass the quality of websites designed using some of the premium themes. The SEO-friendly theme comes with a Schema-compatible structure, which ensures that your site becomes the favorite of search engines. 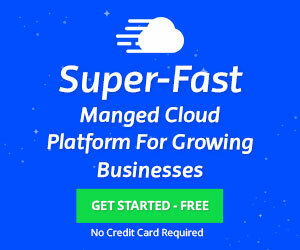 It can be integrated with a range of free and premium plugins, including SEO by Yoast, Contact Form 7, Gravity Forms, W3 Total Cache and others. This theme is best suited for developing personal and corporate websites for a variety of industry verticals, such as travel, finance, business, education, health, fitness, markets, and others. With the launch of the version 2.2.0, Sparkling theme became e-commerce ready and can be easily integrated with the WooCommerce plugin. Doesn’t it sound like a one-stop solution for your business website needs? Then, go ahead and download the theme here. One of the innovative, cutting-edge, agile, creative and fully responsive WordPress theme, Uplift, is well-suited for developing both business and corporate multipurpose websites. Regardless of whether you have previous experience in coding or development, you can easily build a website without any hassles using Uplift. This is an adaptable, versatile website theme, which is capable of supporting high volumes of content, regardless of the content’s type. It features the Swift Page Builder, which comes with an agile visual interface, allowing to drag and drop elements, shortcodes for layouts, templates and allows to add pages manually. This means you are in complete creative control of your website. With the Uplift premium theme, you can easily replicate professionally designed websites, using the Demo Importer. The customizable settings that Uplift offers can be used to fine-tune your website’s components to fulfill your business needs and functionalities. It comes with retina-ready icon font packages, which will again uplift the appearance of your website. Click here to download and learn more about Uplift. This premium WordPress theme is carefully crafted and extraordinarily expansive. It is also an innovatively customizable and versatile, responsive and multipurpose business theme. Specular offers a wide range of tools, plugins, features, and options to take your website’s design to the next level. You can create business websites of any kind, based on your business requirements using this theme. The Specular theme is open to fine-tuning, which is evident from the fact that there are around 24 themes, which are entirely different from one another and are full-fledged demo websites, which you can find here. You can pick one of these themes and then customize it to fit into your business requirements, which would save a lot of time that gets wasted otherwise searching for website designers and waiting for them to turnaround the product. Since Specular is fully responsive, it is cross-compatible with any browser and the screen looks exceptionally beautiful across devices of any size. Regardless of whether you have coding skills or not, you can use Specular to set up your business websites in no time. It saves a lot of time as you can choose from one of the more than 20 ready-to-use websites that are available to be published over the net. Real-time support is always provided as Specular has a dedicated support team working tirelessly 24/7 to ensure that your websites offer a reliable performance always. You can check the above given link for further details on its functionalities and features. As the name suggests, the Entrepreneur theme is the best choice for the entrepreneur in you. Regardless of whether you own a cloth or spices store, or a salon, Entrepreneur comes with a variety of features and functionalities that will take care of all your business needs online. With the Entrepreneur theme, you can easily automate your booking process. It takes care of booking appointments, accepting payments and scheduling your business, and all these are available in a single theme. Isn’t it awesome? With the Elementor Live Page Builder, you can easily build and customize your website. The unlimited design options, over 40 widgets, and 20+ page templates make it the best choice for small business websites. And the set-up process is the highlight: it only takes one click to install with a guided three-minute setup. Entrepreneur offers layouts that have been designed by expert developers after extensive researches and you can find layouts belonging to different niches. All you have to do is choose the one that fits into your business needs. Could it get easier? Bootstrap is an excellent framework with a wide range of powerful features. These features and functionalities help developers to create high-quality, responsive websites. The layouts developed using Bootstrap WordPress themes are exceptionally beautiful and look great across all kinds of devices, regardless of the screen size. A consistent framework that supports all major browsers and is accessible across all devices, regardless of screen size. We would like to hear from you. Share your comments and suggestions in the comments box below. This entry was posted in Bootstrap, Frameworks. Bookmark the permalink.